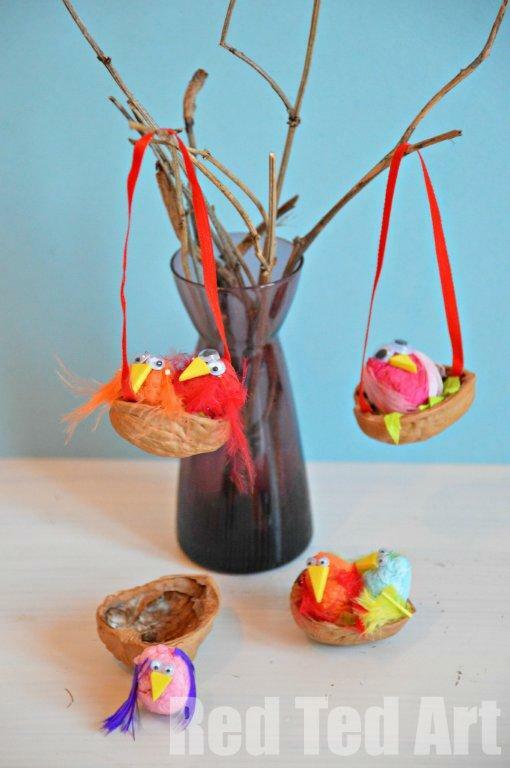 I am so excited to share this week’s Kids Craft – our little walnut nests. We love Walnut DIYs. 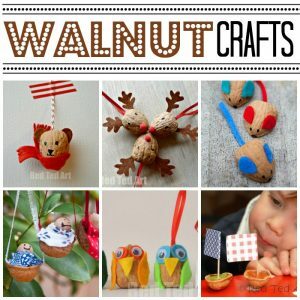 Walnut crafts are just something I am rather partial too – they really remind me of my childhood and I love the “frugal ness” of saving the shell from walnuts you eat at home. 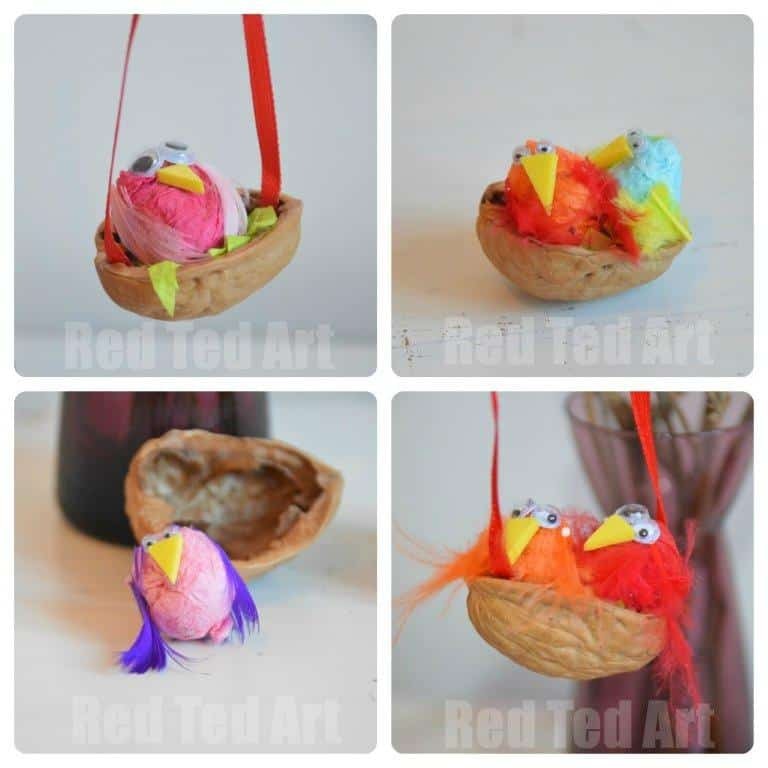 To make these little nests, we saved our Walnut shells, as well as used salvaged tissue paper from gifts and wrapping. 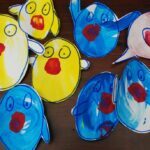 So apart from glue and some googly eyes, this really is a “free kids craft”. Wonderful. 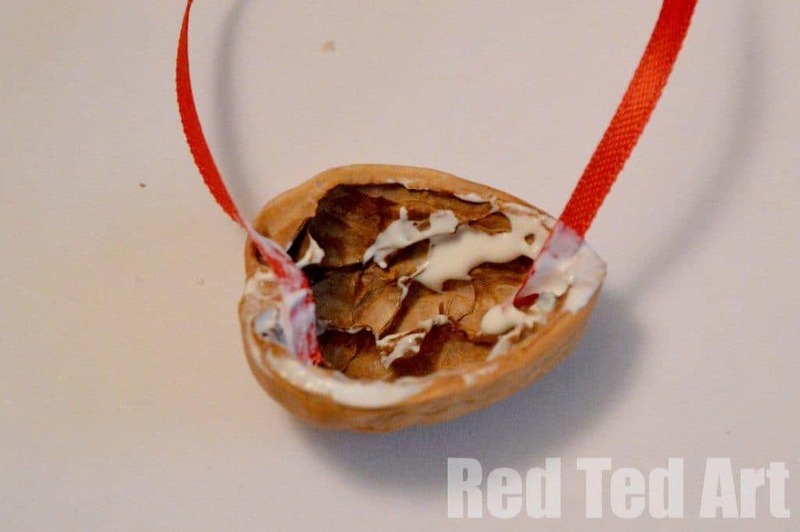 1) Split your walnut in half. 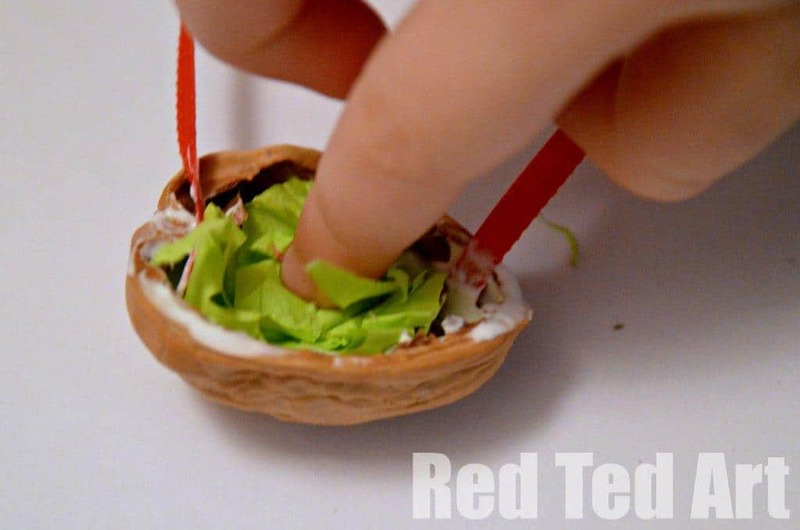 Watch the little video I made above, sharing our Walnut Mice from Red Ted Art, 60 Cute and Easy Crafts for Kids. As you can see, do take care with the knife and only let adults do this step. 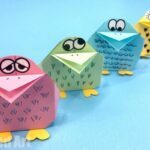 2) If you plan to hang your nests for Easter decorations, glue your ribbon in place. 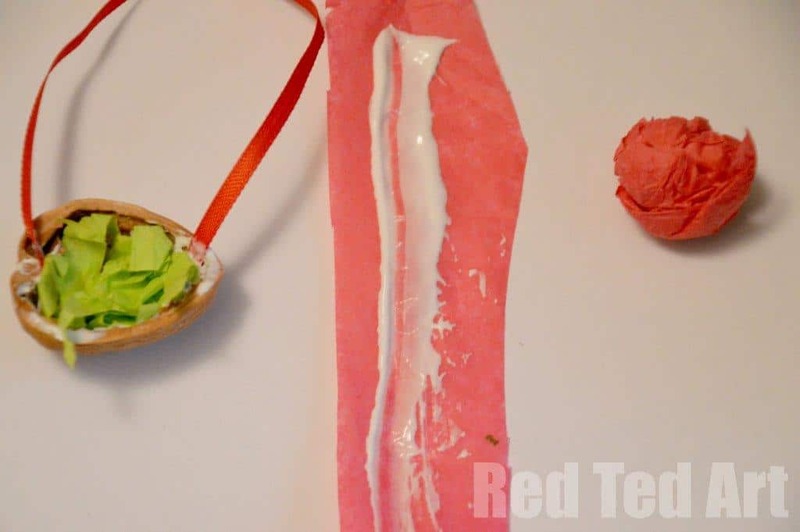 3) Shred a little “grass” (green tissue paper) and glue on top. 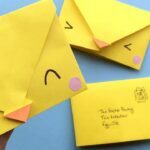 4) Then make your little baby birds – scrunch up a small ball of tissue paper. 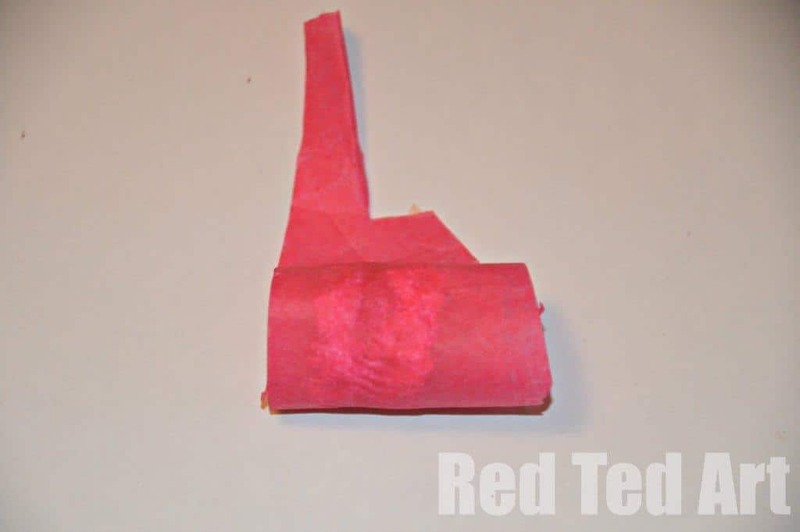 Then take a strip of tissue paper in the same colour. Apply plenty of glue. 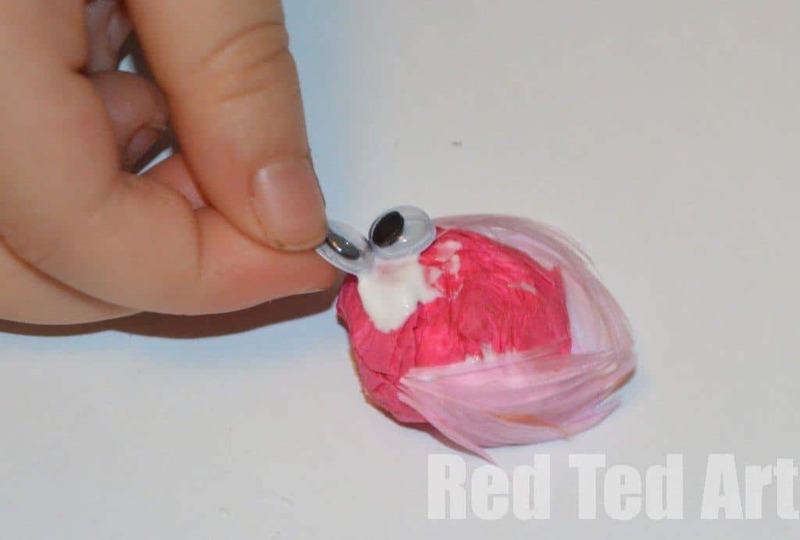 5) Roll your tissue ball up in it and then squish it all down and shape a “mini egg”. If need be add a tiny bit of extra glue. lot of feather fluff…. but does look cute. Add feathers, googly eyes and beak. 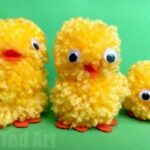 7) Then place your baby chicks into the next – either one or two, however you fancy. 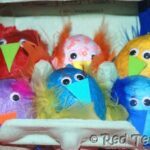 Pip Squeak LOVED making these, but also wanted to play play play – she loves tiny things, so the last “nest”, literally is just the walnut with a baby chick sitting in it (i.e. not glued in). Bottom Left: Red Ted’s (5yrs). See how he needs colour co-ordinate everything? You are so gifted! 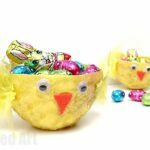 These are so cute and perfect for Easter. I’ll be keeping this as a go along craft for one of our story books. Thanks for hosting and for all the inspiration- tonnes of fun!! Awe thank you Claire and Sian! I was RATHER pleased with these!! 🙂 they made us all very happy! Seriously Maggy, these are so adorable! They really are asking to be played with. 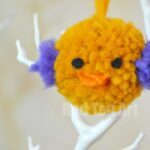 I am in love with those little birds!!! How adorable! 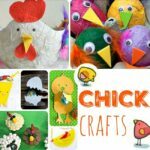 Lucy is having a bird themed birthday so we may make some for her decorations! Awe thanks and how cute would they be at your daughter’s party!